WASHINGTON (Reuters) – The Trump administration’s senior air pollution official said on Friday that he and his agency were still exploring the science of climate change and fell short of calling it a crisis. Bill Wehrum, U.S. Environmental Protection Agency (EPA)assistant administrator for air and radiation and previously a lobbyist for coal and oil industry interests, said at a public event in Washington that he supported a rollback of former President Barack Obama’s centerpiece climate change regulation. 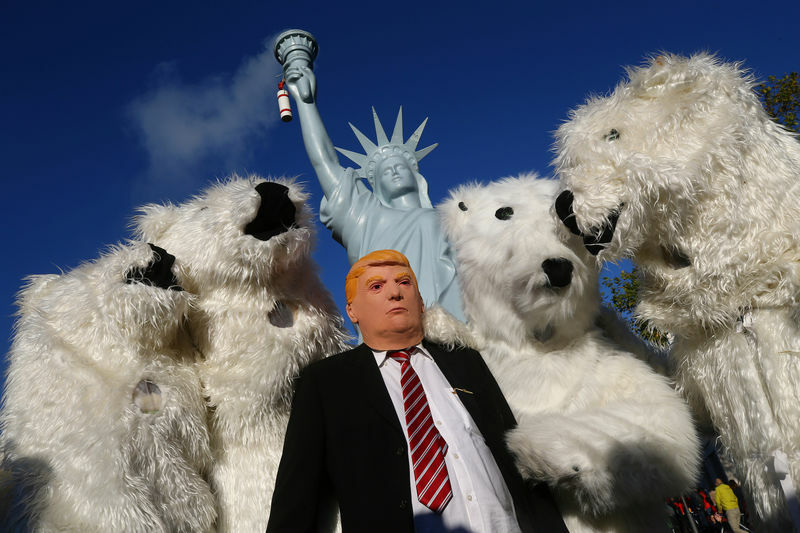 Democrats and environmental activists have criticized the Republican administration of President Donald Trump for reversing Obama-era regulations and announcing its intention to withdraw the United States from an international accord to fight global warming. Wehrum said reducing carbon emissions was important and that was among the many priorities of the EPA but added that he was obliged to be smart about how to dedicate resources to those priorities. Asked if the EPA is trying to determine whether climate change is a crisis, he responded, “I’m trying to figure that out. I’ll admit I did not come to the agency as a climate change expert … I’ll admit, there is a lot I don’t understand about climate change,” he said. He added that he did not finish reading the National Climate Assessment, a U.S. government report mandated by Congress and written with the help of more than a dozen U.S. government agencies and departments, which outlines the projected impact of global warming on American society. Wehrum said he fully supported the EPA rescinding Obama’s Clean Power Plan aimed at limiting carbon emissions from power plants and replacing it with another rule that places much of the power to regulate carbon into the hands of states. Asked why the public should trust that he will safeguard their health given his former jobs, Wehrum said he thought it was important that someone like him who understood the law, technology and science took this type of government job.